Halong Bay – a UNESCO World Heritage Site and one of the New Seven Wonder of the World – is definitely a must-see destination in Vietnam. But what if you have a short business trip nearby and don’t have much time for touring? 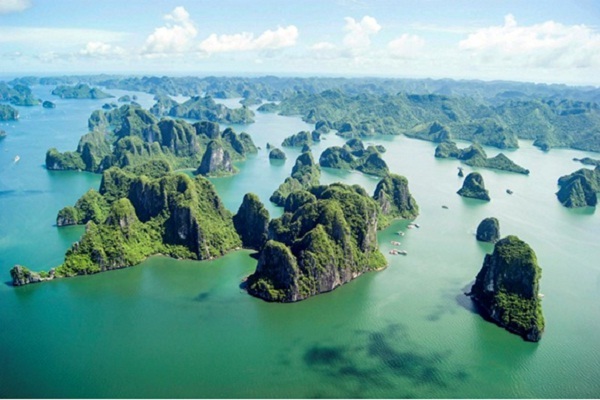 Just rest assured, because even with just one day, you can take glimpse over Halong Bay and soak up its atmosphere. 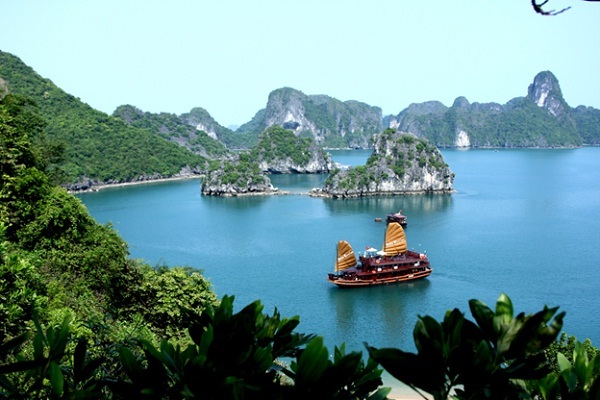 Now, with your cruise or boat, you can travel along Halong Bay and have a vision of breathtaking beauty. 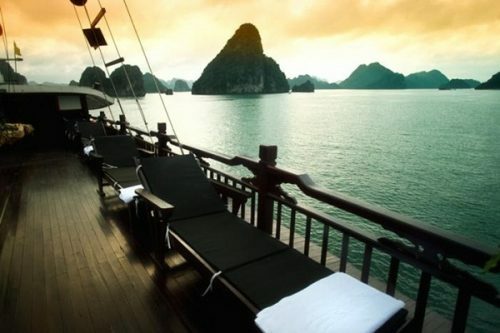 Your trip will be really amusing because there are more than 2000 island rising from the emerald waters of Halong Bay. Just immersing yourself in the majestic beauty of the dense rocks, caves and islands would be an unforgettable experience. Halong Bay has a high density of rocks, caves and islands. The water there has a charming emerald color. Since you have a whole day, sight-seeing may be not enough. 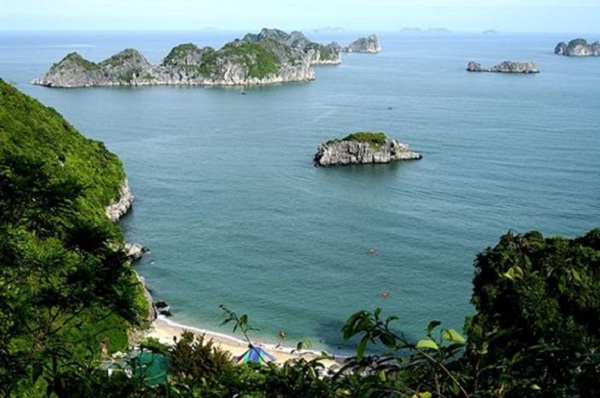 You should also visit many islands scattered on Halong Bay. Dau Be, Dau Go and Cat Ba are the most visited islands by commercial cruises. Dau Be Island is a very popular swimming and diving spot because of its rich coral. 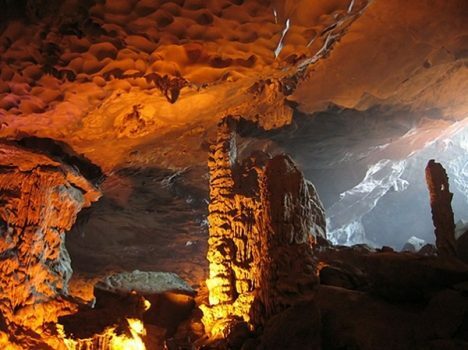 Dau Go Island is famous for having the most beautiful grotto in Halong Bay – Thien Cung Grotto, a cave with complex structure of many different levels and chambers. Cat Ba, the largest and probably most popular destination in Ha Long Bay, is half covered by a National Park and incredibly bio-diverse. Other islands like Bo Hon, Ban Sen, Quan Lạn or Van Don may be interesting as well. You can take some time to visit Cat Ba – the most famous island there. Your trip will be imperfect if you don’t try kayaking. It is the best way to explore the beauty of Halong Bay. Paddle through islets; visit hidden caves, lagoons, unspoiled beaches and floating fishing villages… Kayaks can bring you to where other big boats cannot. You can easily hire a kayak, but if you go by tour it often costs less than you yourself hire one. 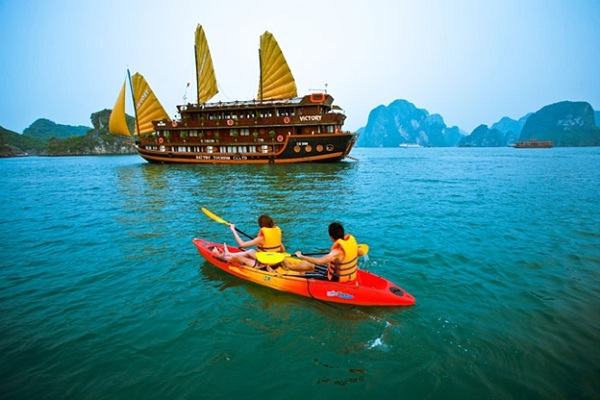 Kayaking is the best way to enjoy Halong Bay landscape. 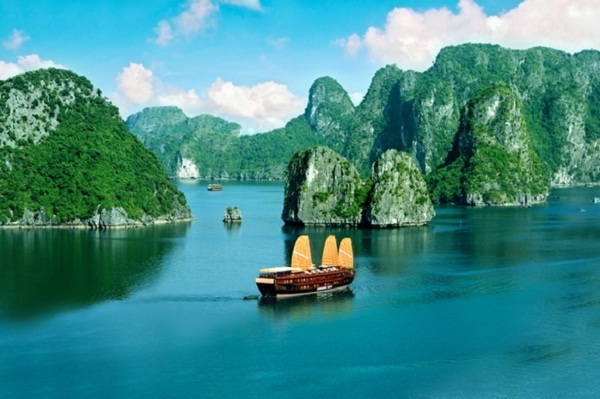 Now even if you don’t have much time, you still have a great trip in Halong Bay. Enjoy your time in there, because it is will be a great experience in your life.